Donald holds a B.Econs. from the University of Western Australia. He has worked in the corporate advisory and corporate finance sector with experience covering the whole business cycle, ranging from start-ups, business creation and exits via Initial Public Offerings (IPOs), Reverse Take Overs (RTO), Trade Sales and Mergers & Acquisitions (M&As). As part of all corporate restructurings, especially in distressed assets and business models, Donald takes a hands-on approach in the senior management of the companies. 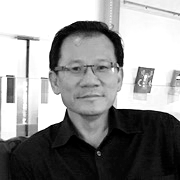 He has served as Chief Executive Officer (CEO) and as director on boards of private and publicly listed companies in Asia, Australia and Europe with interests ranging from traditional businesses such as agriculture (oil palm plantations, etc),logistics, finance, mining, manufacturing, food and service (A&W) to new economy businesses in the TMT (Telecommunication, Media &Technology) space and the fast growing internet environment.